Gavriel grew up an American Reform Jew. During his college years, he discovered a deep interest in combining his American-ness and cultural savvy with his Jewishness. After college, he spent 6 years in Israel soaking up Jewish knowledge, culture, and text, whereupon he took a job as a rabbi of a congregation in Boulder, CO. Boulder helped him expand his already-expanded horizons even further, and he developed skills and desire to work with Jews of all stripes, needs, and backgrounds to make real and relevant ties to their heritage. Though available to any member of the MIT community, Rabbi Goldfeder focuses his efforts on bridging the gap between Jewish students’ real-life interests/concerns and the vast resources contained within Jewish knowledge, tradition, text, and culture. 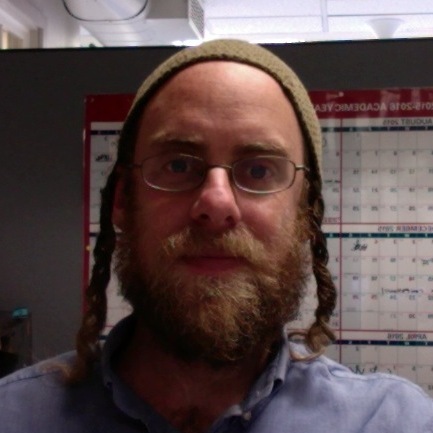 He has been at MIT Hillel for two years now, and he lives in Sharon, MA with his wife and his three rad kids.